There is more sad news this Friday morning. Emma Padgett Fitzhugh, commencement speaker for the Class of 1936, passed away in Newport News on Monday, September 26, 2011 at the age of 92. NEWPORT NEWS - Emma Padgett Fitzhugh, lifetime resident of this city, died on Sept. 26, 2011. She celebrated her 92nd birthday on March 29, 2011. She was the daughter of the late Ellen Parker Padgett and Ambrose Andrews Padgett, local real estate broker, developer, and founder of Murray and Padgett Real Estate in the 1920's. She attended local public schools, graduating from Newport News High School with honors in 1936 and was commencement speaker. At Newport News High School she studied drama with Miss Dorothy Crane, whom she remembered with gratitude and respect. She graduated from Mary Baldwin College in 1940 and was again commencement speaker. She taught in local public schools until her marriage on May 5, 1945, to Eugene Perkins Fitzhugh upon his return from combat duty with the U.S. 15th Air Force in Italy during World War II. Her husband entered the real estate business with his father-in-law and was principal broker at Murray and Padgett Real Estate, now Fitzhugh-Wilson Real Estate. Most of her life she was active in church, Bible studies, prayer groups, social and community affairs, gardening being her hobby since childhood. In 1952 she and friends Allison Cutler and Frances Thompson founded the Warwick Garden Club. She was a dedicated prayer group intercessor including Lydia International Prayer, International Cooperating Ministries, and other local prayer groups. 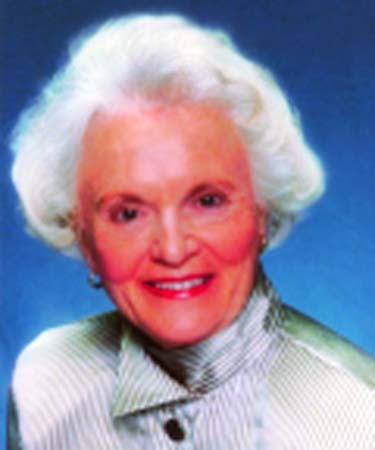 Throughout her life she devoted time and talents to a variety of worthy causes, among them Peninsula Symphony Orchestra as Membership Chairman, Red Cross at the Port of Debarkation for World War II, initiator of the local March for Jesus in 1992, and was a longstanding participant in People to People. Her church affiliations included the former First Presbyterian Church most of her life, Yorkminster Baptist Church, Zoe Community Church, and World Outreach Worship Center in later years. Emma was committed to promoting others. Her radiant smile, exuberant personality, and enthusiasm propelled her into a fearless later chapter of life. With fervor and tenacity, she engaged in local spiritual and political causes. She is survived by her children, Anne Parker Fitzhugh of Newport News, Virginia "Gina" Fitzhugh Wilson and husband, Christopher of Newport News, and Eugene Perkins Fitzhugh Jr., of Virginia Beach. There are six grandchildren and one great-grandchild. There will be a Celebration of Life Service at Hidenwood Presbyterian Church, Newport News, on Monday, Oct. 3, 2011, at 2 p.m.
Thomas and Phyllis Schaaf and family send their most sincere condolences to the Wilsons and Fitzhughs. I had the great honor of getting to know Emma through People to People. She was such a gracious and godly woman who radiated love to everyone she encountered. She always uplifted me with her warm smile and kind words. She will be missed in our community! Please accept my sincere condolences. Emma Fitzhugh was the matriarch of a strong and graceful family, and will be missed greatly. My best wishes for the Wilsons and Fitzhughs during this time of sorrow. Your mother had a profound impact on my life. We had gone to the beach house in NC. I was a wayward soul who was searching for answers. I met your mom that weekend. She encouraged me and spoke words to me that I'll never forget. She was a beautiful person inside and out. I began attending the church she went to (WOWC). I was touched by her love for her God and people. She will be missed! I am so sorry for your loss but, I know heaven is rejoicing because they now have her as an angel. God bless you and your family. Your Mom and I met 40+ years ago at a Bible Study and I will never forget her vibrant personality, her love of our LORD, and her caring heart. She walked the walk and talked the talk. My deepest sympathy to each of you. She is now with the LORD Whom she loved. A bright light for Jesus has gone out from out community, but the afterglow will shine on for years to come. Emma was a blessing to the Body of Christ, and an encourager to all who knew her. We will always be grateful that God used her to enrich our lives as only she could. Our hearts are sad with yours because we no longer have her happy smile and winsome personality to cheer us; but when we remember where she is now, we know she has no more pain and is rejoicing in the presence of our Lord!! May He comfort your hearts as only He can. Dear Family of Emma Padgett Fitzhugh, I was sorry to read about Emma. I remember her vitality and passion for the things she treasured most. She was a bright light on the Peninsula. I send you all blessings, respect, and condolences on her passing..
Our prayers and thoughts are with the Fitzhugh family during this difficult time. Heaven has gain another jewel. As the days and weeks pass, and as you return to life's routine, may you continue to feel comforted by the love and support of family and friends. We will certainly miss your mother at the World Outreach Worship Center. I looked forward to seeing your mother's smile every time she came into the precinct to vote (and she ALWAYS voted). My sincere sympathy for your lose of such fine lady. So sorry to learn about your mother. I still recall with great fondness all the hijinks your parents and mine used to get into. I guess we kids got into a few, too. All the best to your family from ours. We're thinking about you. Our deepest sympathies are extended to Mrs. Fitzhugh's family and friends at this time.